SparkCognition, the world’s first cognitive security analytics company, has been named a finalist for the AIconics Awards, in two categories. 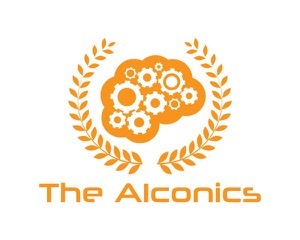 The AIconics are the world’s only independently-judged awards celebrating the drive, innovation and hard work in the international Artificial Intelligence Community, with the winners announced exclusively at The AI Summit, September 28 in San Francisco. At The AI Summit European flagship in London back in May, AI Business received a huge number of AIconics entries across the AI technology vendor spectrum active in the UK and Europe– from the freshest startups all the way through to longstanding innovators such as IAG, DRYiCE, BY HCL Technologies and Artificial Solutions. The Alconics Awards feature six categories, recognizing industry leaders across a broad spectrum of AI technologies, and today we are very excited to announce that SparkCognition is a finalist for two categories. SparkCognition’s cybersecurity centered solution analyzes structured and unstructured data and natural language sources to identify potential attacks in the IT and IoT environments. The uniqueness of the cognitive platform is underscored by the fact that it can continuously learn from data and derive automated insights to thwart emerging issues, without the need to build manual models. Based in Austin, TX, SparkCognition, Inc. is the world's first Cognitive Security Analytics company. SparkCognition is successfully building and deploying a Cognitive, data-driven Analytics platform for Clouds, Devices and the Internet of Things industrial and security markets by applying patent-pending algorithms that deliver out of-band, symptom-sensitive analytics, insights, and security. SparkCognition was named the 2015 Hottest Start Up in Austin by SXSW and the Greater Austin Chamber of Commerce, was the only US-based company to win Nokia’s 2015 Open Innovation Challenge, was a 2015 Gartner Cool Vendor, and is a 2016 Edison Award Winner. SparkCognition’s Founder and CEO, Amir Husain, is a highly awarded serial entrepreneur and prolific inventor with nearly 50 patents and applications to his name. Amir has been named the top technology entrepreneur in Austin by the Austin Business Journal, is the 2016 Austin Under 40 Award Winner for Technology and Science, and serves as an advisor to the IBM Watson Group and the University of Texas Computer Science Department. For more information on the company, its technology and team, please visit http://www.sparkcognition.com.